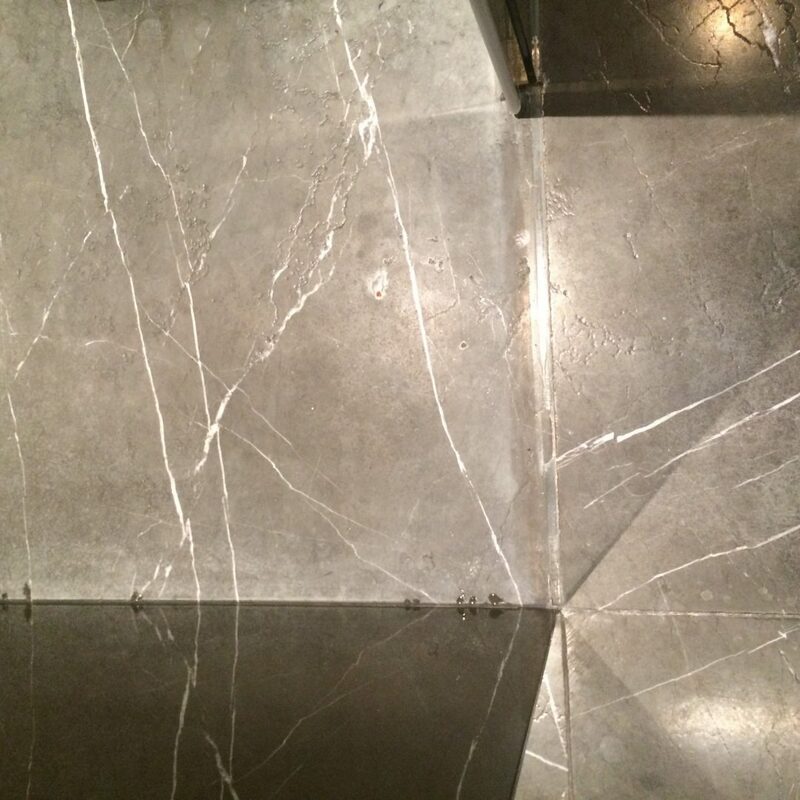 Marble is a sensational natural material, and can be used to stunning effect in a number of manners. 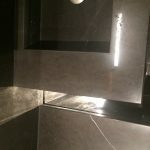 For this particular job, the client had a fantastically designed bathroom that was in need of our attention. 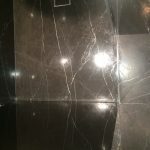 While Marble is an incredible hard material, it is still subject to wear and is particularly vulnerable to anything acidic. While regular, careful cleaning is essential for prolonging the lifespan of this material, sometimes more thorough work is needed. 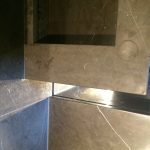 We carried out full restoration on the marble used in this particular shower enclosure, basin and bath in Knightsbridge. Firstly we had to assess the state of the stone. Each type of stone is different, and depending on the condition, may require very different care. 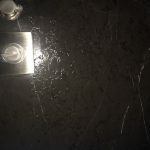 In this case, we first had carefully grind away a very thin surface layer to remove scratches, sealant and any other damage. This enables us to once again achieve a consistent appearance across surfaces that are subject to very different uses. 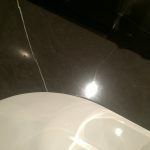 In the case of a bathroom, the way in which water comes into contact with the material, as well as splashes from personal hygiene products, will eventually result in difference in the appearance of the sink, shower and bath, even if it is the same stone. A particular challenge for this job was access to the shower walls. 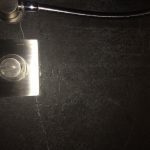 We needed to gain access to hard to reach areas and achieve a consistent finish across all surfaces so all the work was done by a hand held stone polisher. Applying the pressure to safely but surely polish evenly across the stone surface was hard to say the least, but very rewarding in the end. The whole job was sealed with colour enhancing impregnating sealer which brought out the depth of the colour as well as putting a big smile on our customer’s face. 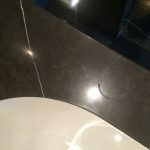 If you struggle keeping your marble floors and bathrooms in a pristine condition give Cleaning Bros a call on 01708 701 973.